BourbonBlog.com‘s Tom Fischer speaks with Steve “VIz” Viezvbicke and Rob Masters of the Boulder Distillery and Clear Spirit Company. Tom tastes their 303 Vodka, 303 Whiskey (which are both potato based) along with Rob’s MTN GIN. With these three fine spirits, the distillery is celebrating 3rd Anniversary and continued growth across Colorado. Visit them when you’re in Boulder! 303 Potato Vodka – 40% Alc. by Vol. 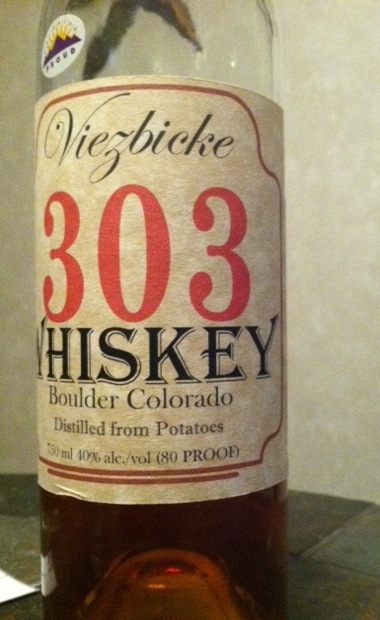 303 Potato Whiskey – 40% Alc. by Vol. Rob’s Mountain Gin – 44% Alc. by Vol.